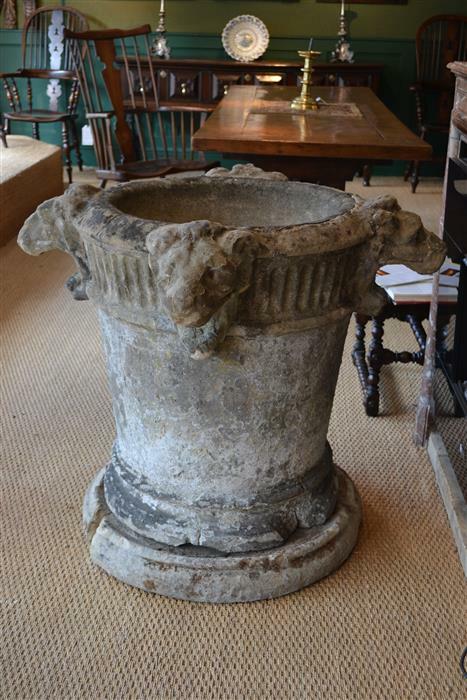 Suffolk House Antiques | A wonderful Italian stone well head. A WONDERFUL ITALIAN STONE WELL HEAD. 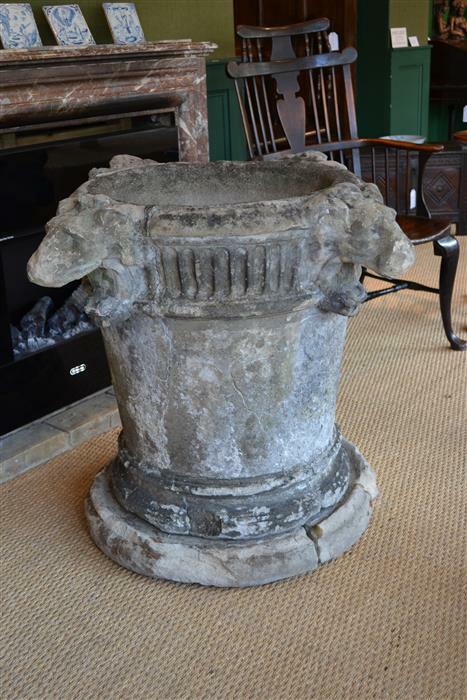 Just arrived in the shop after some serious lifting, this Italian stone well head dates at the latest from the early 18th century and would make a superb centrepiece in a garden. Of tapering cylindrical form, it has four lion's head masks carved from the solid, a fluted frieze and it stands on its original base. It measures about 3 feet wide x just under three feet high. SOLD.